Recently,multiple Ironman Lake Placid finisher, Joe Rosati, gathered and put together a number of tips for people doing and aspiring to conquer this beast of a challenge. I came across the tips and thought they would make a great blog post for anyone in or outside of the club to learn from. This is a tremendous and well put together list for IMLP but if you have additional tips please feel free to leave them in the comments. We’re all better for having helped each other out! 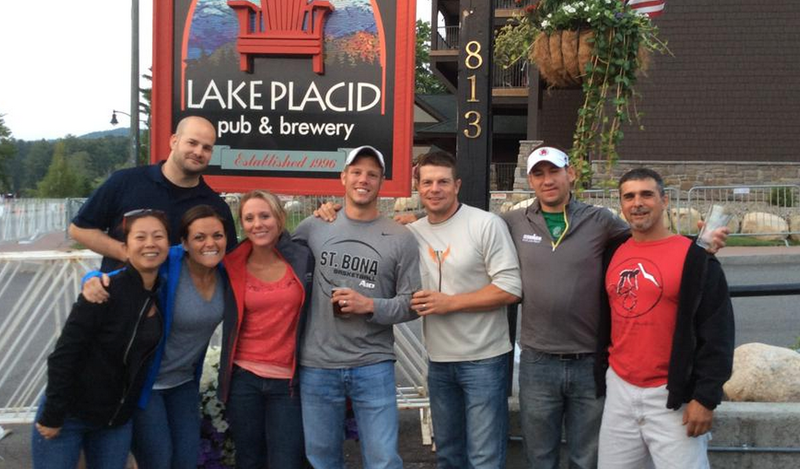 For everyone heading to Ironman Lake Placid! Memorize exactly where your T-bags hang. It’ll be pleasant surprise if someone handles it for you, but don’t count on it. 80%+ will over do the first bike lap – Let them go. The first climb comes before the decent to Keene. You’ll be on your bike for 112 miles, don’t blow your race in the first 5! The descent into Keene is wicked fast. Yes, going 40mph is fast but there’ll be a guy behind you going faster! Stay to the right and keep your eyes fixed on where you want to go, not where you don’t want to go! The climb on Route 86 to Wilmington gets little attention but ride it too hard and you’ll be toast before you even get to the long climb (Cherries and Bears) back into town. Have a pacing plan and stick to it. The gradual downhill after the turnaround on Hazleton is a great place to get rid of “excess fluids” before the climb back up into town. The huge crowds at the top of Papa Bear are secretly trying to get you to ride the final 1/4 mile of the climb at 150%+ FTP. Smile back, say thank you and stick to your plan! 90% will run lap 1 way too fast, especially the opening downhill miles. Let them go, you’ll see them later. Coke is the nectar of the Ironman Gods. Drink some at any aid station that has it. The last 3 miles of this run course are incredibly difficult. As you cross the bridge and start your climb back into town for the finish, plan ahead, prepare to see carnage and run right past it! Trust your fitness. Trust your taper. Stick to your plan. Good luck. I would also mention prepare yourself for how lonely and full of carnage the run course is once you get out of town. It’s just you and all the other suffering sob’s. Don’t use the ski jump as a landmark. It’s big and nice to look at but it’s really not close to the end of anything. I’ll add this: There will be rain at some point on the bike, this is absorbed by the course for your second loop and allows the hills to grow a bit. Seriously, you will experience much more incline on the second loop even though it is the exact same course your just rode. At least the swim is flat.